Do you have a Relationship with a New Prospect Before the 1st Sale? Customer loyalty is an integrated process of perceived and actual value delivered based on your offering and your customers’ perception of that offering. 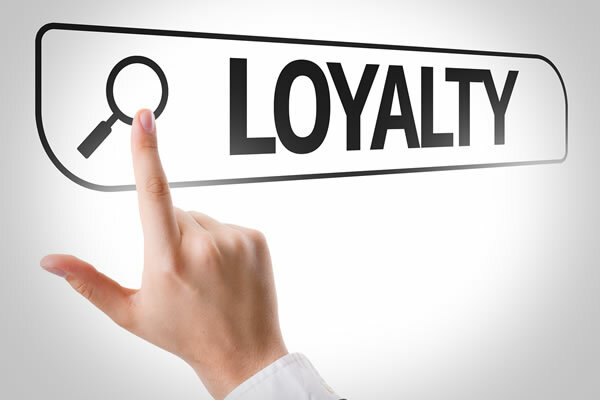 You do not arbitrary have customer loyalty because a customer bought from you once. During pre-sale interactions with prospects, you communicate your business value. Prospects must believe your value is different from your competition for them to take an action step to buy. During the post-sales step after your first sale, prospects reconfirm the business value they were supposed to receive. If during the post-sales cycle the prospect confirms they did receive the business value communicated to them during the pre-sales cycle, then they take another action step to buy again and start a long-term relationship based on loyalty. Step 1: Pre-sales cycle; vendor meets prospect. Step 2: Pre-sales cycle; your vendor value is communicated. Step 3: Pre-sales cycle; prospect starts to believe your business value. Step 4: Prospect buys your product or service for the first time. Step 5: Post-sales cycle; customer confirms they received the business value as marketed. Step 6: Post-sales cycle; customer buys a second time and starts a loyal relationship. Click here to download this graphic. It seems throughout the last 15 years, most sales training methods have taught relationship sales as a means to generate business from new, qualified prospects. In many ways, the concept of relationship selling is the Holy Grail of salespeople. Many IT salespeople believe that account activity means you have a relationship – that is wrong. The generally accepted business perception is that if you meet with buyers often, take them to lunch, do demo after demo, submit multiple proposals and have them respond to your email quickly, all of these actions have become “qualifying sales steps” in today’s sales process. As prospects respond to these inbound vendor engagements, some account managers insert this information into their CRM or contact manager believing these are completed sales steps which shorten their sales cycles. Then the prospect buys the first time and immediately salespeople believe that they have a lasting, loyal relationship. This perception that “relationship selling” works for existing customers or new prospects is factually wrong. It has been proven time and time again, customers may not buy from you a second time. Customer (and prospect) loyalty only happens when you substantiate your business value and when the prospect (or customer) takes an action step to buy. 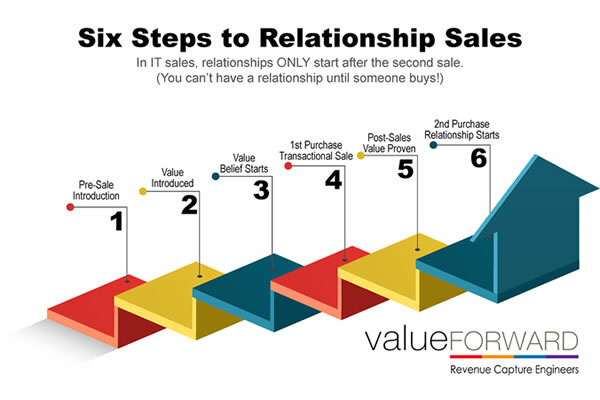 In IT sales, relationships and customer loyalty ONLY starts after the 2nd sale. Hunt now, or be eaten later!